Looking after your super now will help your super look after you later. Find out how much super you are due in Superannuation Guarantee (SG) employer contributions. If you’re in the workforce you need to understand what the Superannuation Guarantee is and how much money you might be entitled to from your employer. 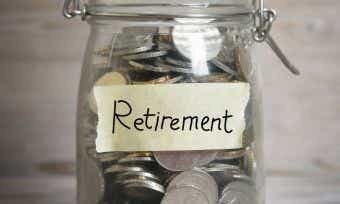 Superannuation is your retirement savings, so it’s important that you look after it. What is the Superannuation Rate Guarantee (SG)? The Superannuation Guarantee (SG) is the compulsory 9.5% superannuation contribution that employers must pay into their employees’ super funds. This 9.5% contribution is calculated based on ordinary time earnings, and generally, employees are eligible to receive superannuation from their employer if they earn $450 or more in a calendar month. You must be paid super, regardless of whether you are working as a casual, part-time, or full-time employee or a contractor, even if you are only a temporary resident in Australia. How is the Superannuation Guarantee calculated? The 9.5% Superannuation Guarantee (SG) is the minimum amount your employer must pay into your super fund (not impacting your personal income). This is calculated as 9.5% of your ordinary earnings which is your normal wage for typical duties. This includes commissions, shift loadings and allowances, but excludes overtime payments and bonuses. This list is not exhaustive and is for general guidance only. The Australian Taxation Office has some good ordinary time earnings guidelines for employees. This is an additional expense for the employer and does not impact the employee’s take-home packet. How much super does my employer have to contribute? By law, superannuation is a part of your salary, and you are guaranteed that your employer will contribute 9.5% of your ordinary time earnings into your superannuation. For example, if your ordinary time earnings are $60,000 then you should be paid an additional $5,700 into your superannuation fund each year. You can receive extra super if you are a low-income earner. If you earn $37,000/year or less, the government will contribute an extra 15% of your guaranteed super payments per year, up to $500/year. This process happens automatically, as long as you have supplied your Tax File Number to your super fund. You can also arrange to send more money to super through voluntary contributions. That 9.5% figure is the minimum contribution required, and you are free to make an agreement with your employer to increase that contribution through salary sacrificing some of your before-tax salary. If you can afford to forgo a portion of your income now, salary sacrificing can be a very effective way to grow your super, particularly for high-income earners. When does my employer have to pay my super contributions? Superannuation must be paid to you if you are aged 18 years or older and you earned at least $450 before tax in the last calendar month. You are also guaranteed super if you are under 18 years old if you have earned at least $450 in the past month and you worked more than 30 hours a week. Employer super contributions must be paid quarterly on the 28th of January, April, July, and October. They can be paid more frequently, depending upon the preference of your employer. The Super Guarantee (SG) ensures your employer pays a rate of 9.5% of your gross salary or wages. Your employer must pay the full amount for the quarter by the due date. If your employer doesn’t meet these obligations in time, they will still have to pay what you’re owed, plus interest. Making SG payments quarterly is the minimum requirement, but some super funds, awards, and contracts require superannuation to be paid more frequently (e.g. monthly). SG payments are made electronically into your account with your chosen superannuation fund. When a due date falls on a weekend or public holiday, your employer is allowed to make the payment on the next working day. How do I know if my super is being paid on time? Most employers follow the system correctly and pay on time, but if you’re concerned there are a few things you can do to ensure your super has been paid. Many employers will show on your payslip their super contributions. If not, contact your employer or the payroll officer, or contact your super fund. Finally, the MyGov government portal will show the past two years of super payments, though the most recent payments may take some time to be listed. If your employer isn’t paying your super on time, they’re breaking the law and not giving you what is rightfully yours. Your super is your money and you are legally entitled to it, so making sure it’s paid on time is a sensible step to take. In fact, the 2014-15 ATO audit found that as many as 20% of employers are not making the correct super contributions for their employees. If you aren’t receiving your due super payments you can contact the ATO Superannuation service by phoning 13 10 20. Failure to pay super entitlements is a serious issue and the Australian Tax Office takes compliance very seriously. 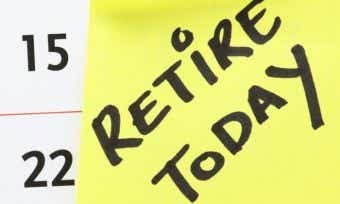 What if my employer isn’t paying my superannuation? If you think that superannuation hasn’t been paid for you, you can make a complaint to the Australian Taxation Office by phoning 13 10 20. Find out more information on taking steps to claim unpaid super. By law, your employer must pay any superannuation that is owed to you on at least a quarterly basis. The amount your employer contributes must be listed on your payslip. Voice any concerns to your employer. The correct superannuation rate paid into your account is your retirement nest egg, so don’t take it for granted. Are you currently in the market for a super fund? Or considering switching? Check out our comparison table below which features a snapshot of the current market offerings for superannuation with links direct to the providers website. Please note that this table is sorted by our star rating (highest to lowest) and is based on the policy holder falling between 30 and 39 years of age, with a super balance of up to $55,000. What type of Super Funds exist?